Our new ANSI ISA/ASME-certified valves feature ANSI standard-size flanges, with standard face-to-face dimensions. With these new ANSI valves, users can bolt right up without the use of DIN mating flanges or companion flanges for ANSI piping. These valves are designed for use in higher temperature ranges, with a maximum temperature of 343 ºC, or 650 ºF. These stainless steel components allow for extended life spans of the valves seals and can handle 150,000 reps up and down at 300 ºC. These valves have a maximum temperature of 232 ºC, or 450 ºF. This model does not feature the stainless-steel bellows or extended cooling tubes as mentioned in the previous model. 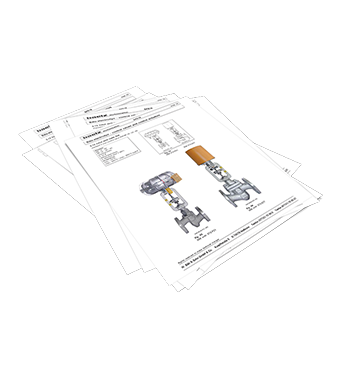 To learn more about our new ANSI ISA-certified valves, download the technical guides for the 365 and 367 valves. And for more information on Baelz valve offerings, or to discuss your options with an expert, contact the team today.